This one is extremely popular at any party, convention, renaissance fair, or other cosplay opportunity. You never know where in space or time The Doctor might show up. 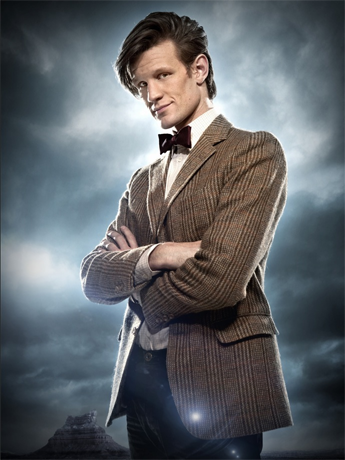 The Eleventh Doctor’s Bowtie is probably the most iconic part of his wardrobe, so much so that they saw a surge in popularity when he first started wearing it. 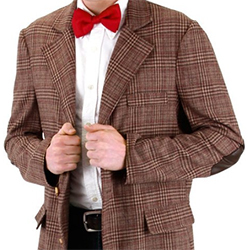 Without the bowtie, this costume would be virtually unrecognizable. 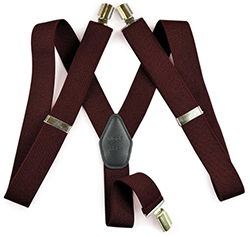 Right along side the bowtie, although often less visible, are the matching suspenders. Just make sure that you get the same color as whichever bow tie you select. 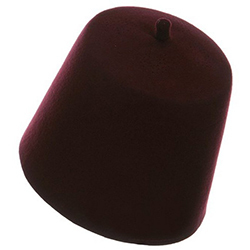 These fine hats have each only made an appearance in a single episode before being vetoed by Amy Pond and River Song, but they are nonetheless an iconic part of The Doctor’s wardrobe. If you’re looking to get a perfect match, expect to pay a lot. Alternately, there are some look-alikes available online, personally, I’d suggest saving some money and going to your nearby thrift store to getting something close. You could probably spend a fortune on a matching the 11th doctor’s shirt perfectly, but any cheap white dress shirt will do the trick convincingly. Check your closet, first. Like the shirt, this is a little less iconic than the bow tie, suspenders, and hat. If you’ve got a dark pair of jeans or brown pants that you already own, they’ll fit the part perfectly. If you’re pinching pennies, this part of the costume isn’t always noticable, but there are a few occasions when the Doctor’s choice of footware is important or even vital to the plot, so if you really want to look the part a pair of black lace-up boots is the way to go. Did you really think you’d see the end of this guide without the most important accessory in the Doctor’s wardrobe? No Doctor is complete without his Sonic Screwdriver, so no Doctor costume would be complete without one either. There are a few options out there, but this is among the best replicas I’ve found. With that, I urge you to go forth, assemble your Eleventh Doctor costume, and protect the planet from peril.